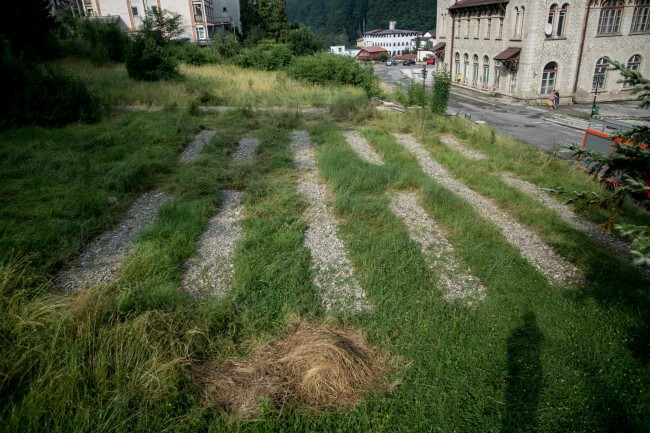 The Source is the result of the international art residency In Context, held for the first time in Slănic Moldova June 27 - July 27, 2017. Six contemporary artists from Brazil were invited to create new work inspired by the history and geography of the city using local materials and a wide set of aesthetic practices ranging from sculpture, photography and installation, to performance, participative and public art. The theme of this year's programme was water, as the essential source and resource of life, of planet's biodiversity, human culture, memory, and spirituality. Filtered through distinct creative processes, the works explore these concepts in relation to the specific context of Slănic mountain resort, as well as the energies contained within the materials used (salt, stone, wood) and the potential of art to revitalize spaces and communities through participation and generosity. 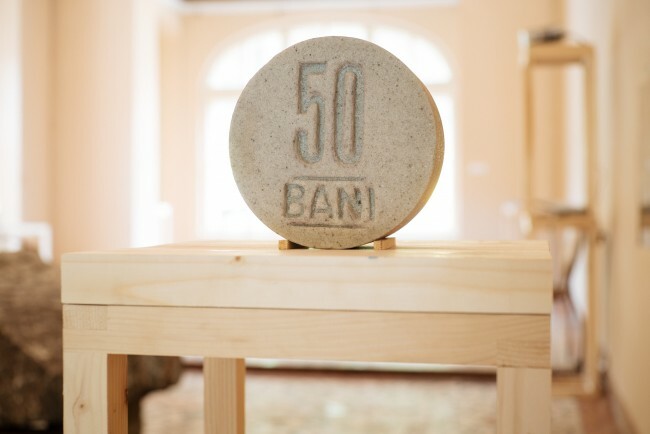 As Brancusi once said: "Art is not an escape from reality, but an entry into reality, probably the most true, the sole valid reality.” The Source is just the beginning of such an abiding vision to transform Slănic Moldova into a new reality, an incubator of ideas and international artistic exchanges, a living museum open to everyone. 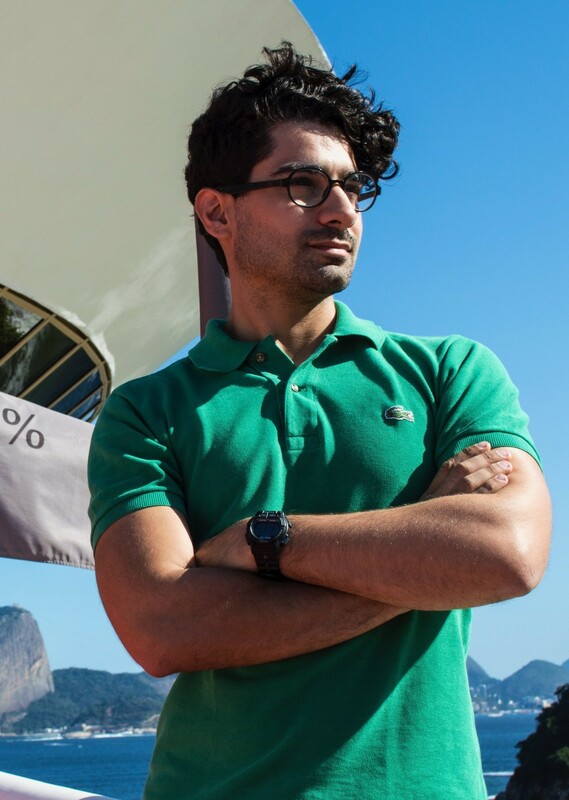 Felippe Moraes (1988) is an artist, researcher and independent curator. He is currently a PhD candidate at Universidade de Coimbra in Portugal and holds a distinction MA Fine Art from The University of Northampton having been granted the Santander University Scholarship between 2011 and 2013. In 2016 he earned the first place in the Brazilian National Award ArteMonumento 2016, which led to the construction of the permanent public sculpture “Monument to the Horizon” at Caminho Niemeyer in Niterói. Major solo exhibitions: “Progressão” (2016) curated by Michelle Sommer at MAC-Niterói; “The Elements” (2016) curated by Alexandre Sá at Centro Hélio Oiticica in Rio de Janeiro; “Ordem” (2014) at Baró Galeria in São Paulo; “Matter” (2012) with text by Raphael Fonseca at MK Gallery, UK; and “Construção” (2011) at Paço das Artes in São Paulo with texts by Fernanda Lopes. Group exhibitions (selection): “Coisas sem Nome” (2015) at Instituto Tomie Ohtake in São Paulo; “Escala Humana” at EAC Montevideo; “Repentista #1” at Nosco Gallery in London; Frestas Triennial (2014) at SESC Sorocaba curated by Josué Mattos; “City as a Process” (2012), the 2nd Ural Biennial in Russia; “The Infinity Show” (2013) at Northampton Contemporary Art Gallery, UK; and “Mutatis Mutandis” (2013) curated by Bernardo de Sousa and Bruna Fetter. In 2014 he was one of the finalists of the EDP nas Artes Awards at Instituto Tomie Ohtake. As a curator and researcher Moraes has worked on various fronts: in 2013 he created LargoLAB, a project development platform for artists in residence at DESPINA | Largo das Artes in Rio de Janeiro. 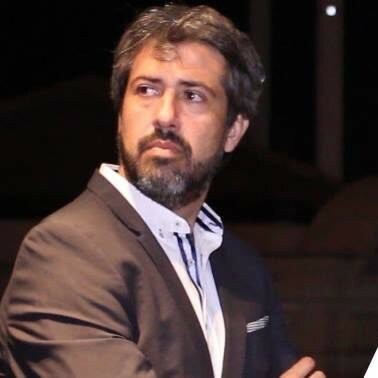 In 2016 he was the curator of the exhibition “Invisible Cities” at the same institution and established the project HARP (Humanitarian Art Research Platform) mentoring the visual research performed by refugee artists from Syria, Congo and Colombia. Gabriela Gusmão lives and works in Rio de Janeiro. 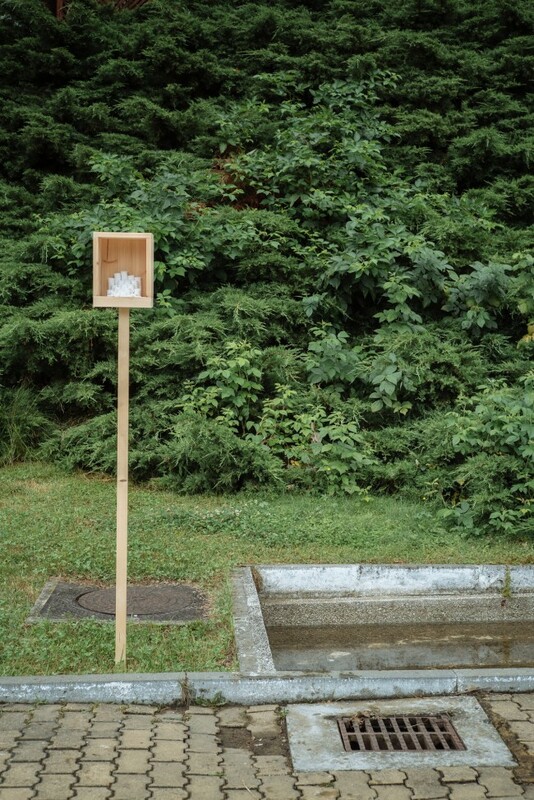 She is interested in the relationship between nature, urban space and temporality, which she explores through video, photography, sculpture, drawing, artist books, performance and interventions in public space. She exhibited solo at The Museum of Modern Art in Rio de Janeiro and Platforma Revólver para a Arte Contemporânea in Lisabona, and also took part in diverse group exhibitions in Brussels, Berlin, São Paulo, New York and Paris. In 2016, the artist was commissioned by the 2016 Art Monument Brazil to create the monumental sculpture "Nova Chama" ("New Flame") in Nova Friburgo, in the mountain region of Rio de Janeiro. 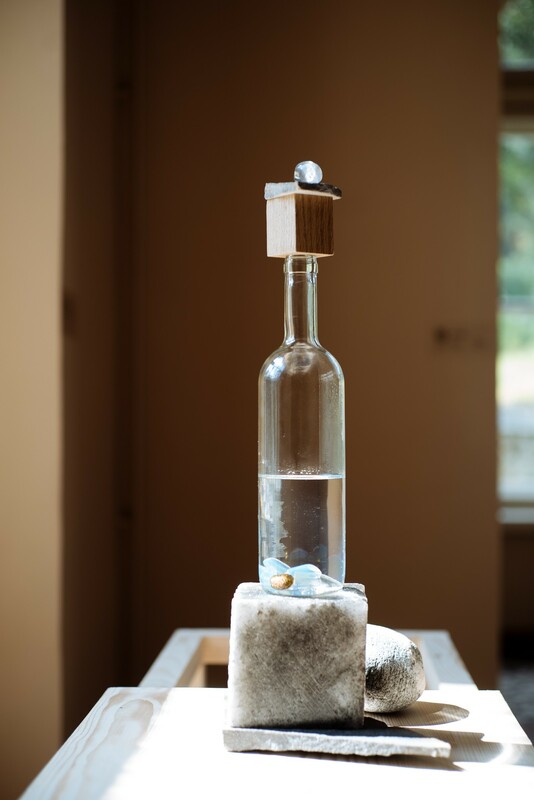 Be it sculpture made of living materials, photography, drawing or installation, Liana Nigri’s work is mostly inspired by elements of nature versus the idea of time passage – and therefore, the notion of impermanence. In that sense, her research consists in observing the changes on the surface of plants or/and human skin in the course of their subsequent life cycle. Through this process her work invites the audience to take a closer look at life from the perspective of decay that reveals beauty where never imagined before. Liana Nigri is a visual artist deeply interested in Bio Art. She has a Master’s degree in Textile Futures at Central Saint Martins, London. 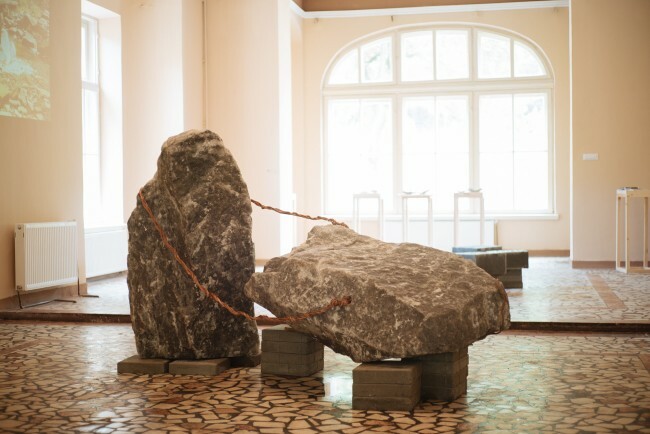 After living in New York for four years, in 2016 Liana decided to return to her hometown, Rio de Janeiro, to continue her work through the art residency Despina, which is known by its wide network of curators who help residents to think and rethink their projects. 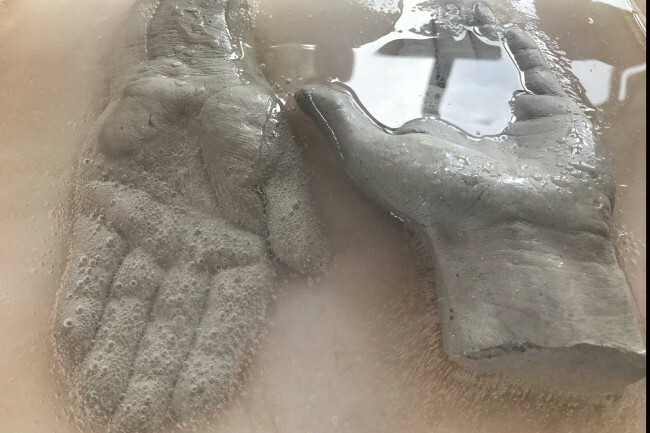 Yet it was the art residency at SVA - BioArt from Laboratory to the Studio in 2015 that prompted her ongoing work on AfterLife concept. Patricia Francisco lives and works in Rio de Janeiro. She is a PhD candidate in Arts at Rio de Janeiro University and holds a Master's degree from Sao Paolo University. Including film, video, photography, drawing and performance, her practice focuses on hybrid forms and experiment that examine the intersections between analogue and digital media, as well as non-linear narratives created through film editing tehniques. Her work has been exhibited in Argentina, Colombia, Spain, America, France, Italy, Peru, Malaysia and Brazil. She is represented by the Mammoth Gallery Rio de Janeiro. Renato Maretti’s projects feed off the everyday observation of his environment and off decontextualizing the components of this mundane reality. He often resorts to games that imitate reality, copying the appearance of objects that we use daily and misusing them, turning them fictitious. Drawings, stickers, ready-made and found objects on the other hand bring him closer to a language typical of street art, with a particular focus on the policies governing the physical control of the body in the urban space. Ricardo Càstro researches the qualities, both formal and mystical, of chromatic elements to carry out interventions that has the potential of transforming architectural, urban and social spaces. In general they are hybrid works, open to public participation. His artistic actions have been brought together under the term “abravana”, a term that resonates as a vocal key endowed with vibration, intensifying the body / work relationship to shed light on a dimension corresponding to an infinite level of perception. With ‘Passages’ Liana puts together two generations deeply connected to this land - Slanic Moldova- and intends to realize the impossible human desire of freezing time and relationships. Then the power of impermanence melts it down and transform this union into two separate forms with its own marks and shapes, different parts from the same whole. “The Book of Salt for Water Changes” is made up of 8 blocks of salt, each engraved with 8 hexagrams from the ancient Chinese classic I CHING - The Book of Changes. These hexagrams act as an oracle, and offer 64 possible answers based on a combination of yin and yang lines used to create symbols known as trigrams. Trigrams are also known as families, and represent heaven, earth, wind, thunder, water, fire, lake and mountain. Gabriela sculpted the hexagrams related to the family of water in order to produce this object book in salt. Shi – The Army. Water and Earth. Méng – Youthful folly. Water with Mountain. Kan – Abismal. Water with Water. Huàn – Dispersion. Water with Wind. Jie – Deliverance. Water with Thunder. Wei – Before Completion. Water with Fire. Kùn – Exhaustion. Water with Lake. Sòng – Conflict. Water with Heaven. Two stones of salt named Earth and Haven are connected by a cooper wire. Together they are one inside the zero. In each stone there’s a line engraved expressing the polarities Yin and Yang. Yin, the double and soft line, on top of the Earth. Yang, the single and strength line, on Heavens surface. This sculpture reveals the fusion of energy that will form all the trigrams and hexagrams of the ICHING. It materializes the alternance of destiny, that is also the principle of both the Extemporaneous Path and of The Book of Salt for Water Changes. Extemporaneousness is manifested as a dimension where one might get an aural glimpse of silence. 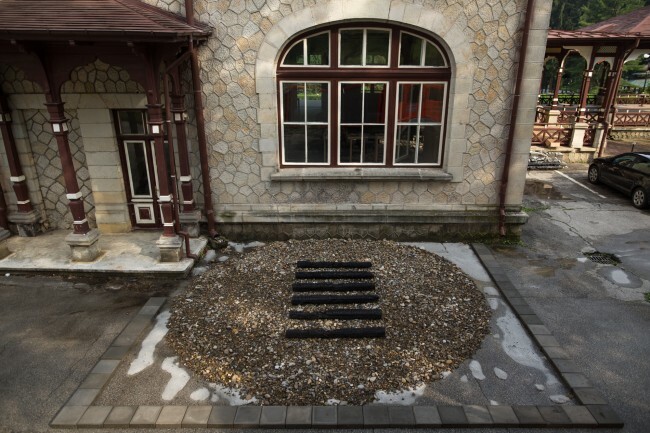 The purpose of this land art piece is to open a path to a poetic state of mind. It is located outside the Casino, in a field. From a transcendental perspective the work is an invitation for a walk along an hexagram from the Chinese classic I CHING, The Book of Changes. Here we have stones on the grass forming the lines of Jie, translated as Deliverance, formed by water and thunder. Let’s take a walk on the symbols of our inner landscape. Video performance | duration 10 minutes. The performance consists of a very simple gesture that the artist will make when coming into contact with the river. On her knees over a lot of salt, the artist will spread and bury the salt in the water, slowly, as one who massages the river. The performance has its own costume. The white dress used by the artist acts as a sign of local culture, it is in the artist’s interest that the work be identified as a work filmed in Romania. But without neglecting the Afro-Brazilian culture when calling the Slanic River with the name of Orixá Oxum, religious entity that rules the sweet waters, rivers and lakes. The act suggested by the title of the work of a “cure” by the contact of salt with water is also referenced of its Brazilian culture, but that when moving geographically it can assume new cultural and geographical forms, forms that will be inscribed in the filmed image, exhibiting the nature and the Romanian culture intrinsically allied to the Brazilian culture, syncretizing them. Dim. : 300 cm x 120 cm x 10 mm. 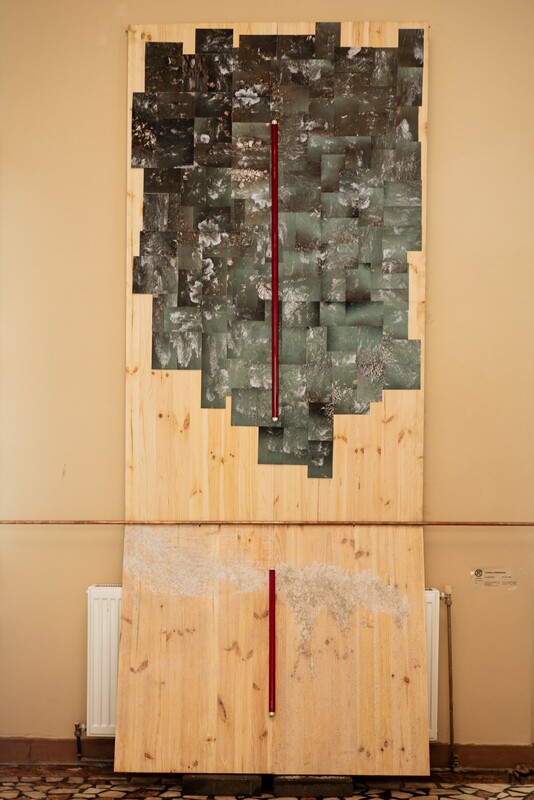 The work is formed by two vertical wooden panels arranged at an angle, suggesting a synthetic form of a river. On the wood panel is 200 photographs of close-up images of the Slanic River, salt powder and gold. On the panel is supported a cross that is formed by metal bar and red light, the metal side is politics, the red side is religion, a first suggestion of organization of this cross, this division is not pragmatic, red can also represent The blood drained by the death of the political prisoners who worked on the construction of the channel of the Danube River to the Black Sea. Moreover, the red side of the cross is discontinuous, suggesting a deconstruction of that cross, and by its greater side being inverted from the position usually known, showing the “no place” that religion had during Communism. Happening | Painting | candles, wax and paint about canvas matte, dim. : 170 cm x 100 cm. It is a Happening that will result in a painting done with wax and paint. The painting has a religious character and a necessary rituality, as it cites the dead of Romania during political conflicts. The work has a series of actions that follow this order: the artist lies on a white canvas of painting, a colleague draws the contour of the body, the artist lifts and places liquid wax inside the design of his body, on the liquid wax positions approximately 100 candles and lit each, the candles were lit until burning, the artist throws gold and blue paint on the canvas as a reference to the paintings of the orthodox churches. The religious characteristic will be expressed through the lit candles and the colors of the paints that will finish the work. 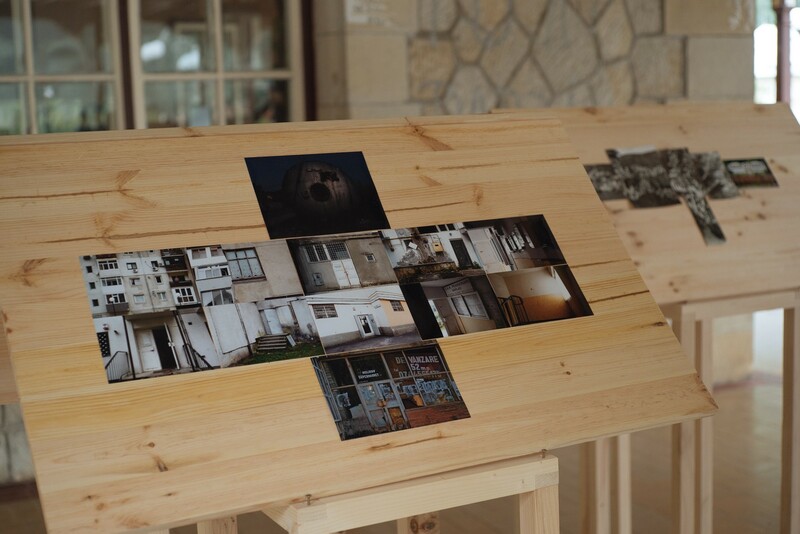 The work consists of 4 architect’s tables, files found in private collection, my photographs and objects collected on walks by Slanic Moldova. The tables are joined to form “houses” suggesting an architectural construction from the forms of the architect’s tables. 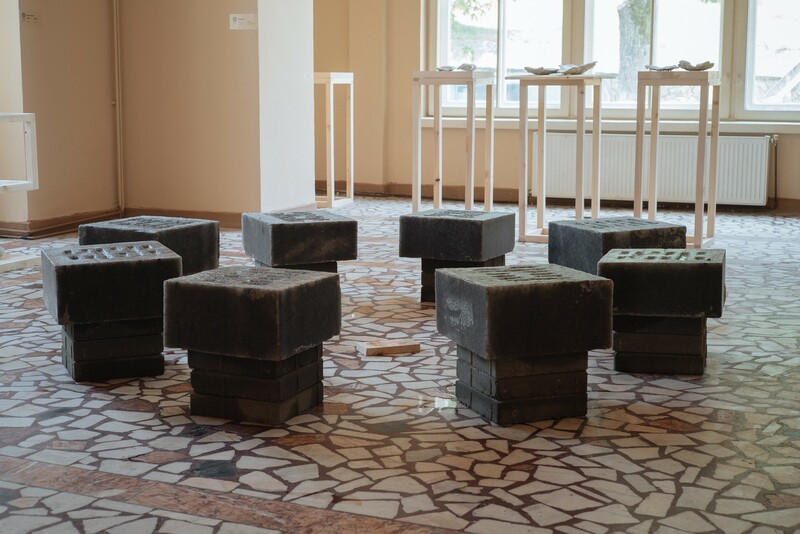 On the top of tables are the archve materials, the images I have made of communist architecture, and objects collected in the city that refer to a silence of a past history that still emerges in the present. Monument to Euclid pays homage to the Greek mathematician, author of The Elements, the basic postulate of geometry for more than two millennia. The work is constituted by 8 rough Kliwa sandstones arbitrarily sectioned to create plane surfaces, functioning as a metaphor towards the simplification of reality proposed by Euclidian geometry. In the same way, each of the stones have engraved in their surfaces the book’s first definitions of geometric entities such as the point, the line and the plane. 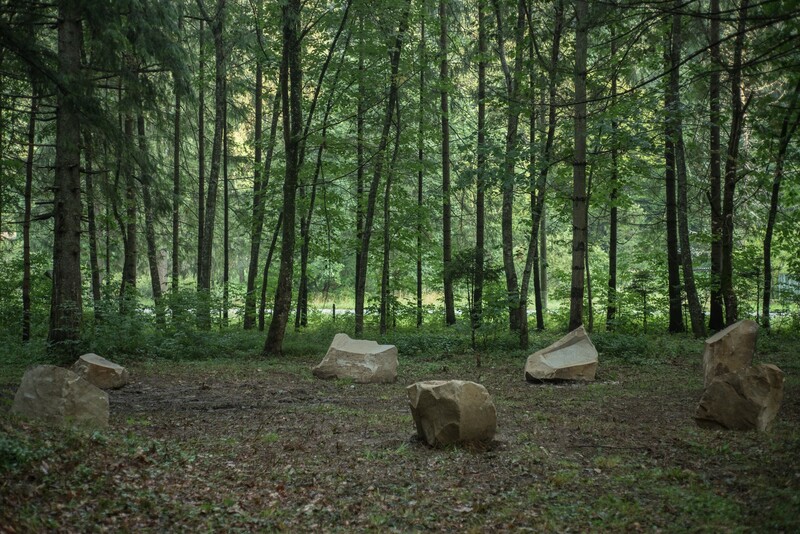 By positioning them in a circle they relate directly to Neolithic monuments, some of the first spiritual architectures developed by humans to deal with the transcendental, and at the same point, dealing with the very basic rational understandings of the surrounding world. Progression in Three Acts is a musical piece composed by the artist Felippe Moraes and performed by a fanfare divided in two equal groups, functioning as an ephemeral sound monument. The two groups are separated by about 100m that play opposing hysterical compositions in 3 acts tensioning the physical limits of the fanfare, the musicians and the instruments. 1st half of the fanfare: all the instruments play together the lowest possible note, then one note higher, followed by another higher note and so on. The first act finishes with the last instruments playing the highest possible note. 2nd half of the fanfare: all the instruments play together the highest possible note, then one note lower, followed by another lower note and so on. The second act finishes with the last instruments playing the lowest possible note. Both parts of the fanfare repeat simultaneously, and in the same tempo, the pieces played previously. MAGIC SONDA 1: is constituted by stones that suggest the form of stairs and propose the relief of tensions through screaming. 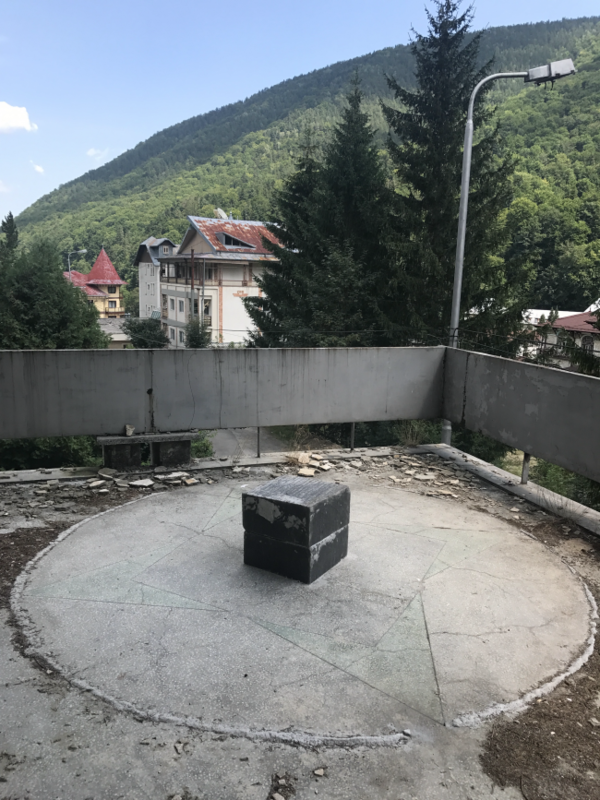 The hexagram “Heaven” from the “I Ching”book of Changes, has taken the public space of Slanic Moldova. It is formed by six pieces of burned wood placed inside a square of salt. A circle of river stones collected by the volunteers of “Fiends of Slanic” NGO surrounds the core of wood representing the yang lines of Qian, the creative principle. ACTIVATION: the participant should sit on the piled blocks of salt, breathe slowly until feeling that the root chakra is completely clean. Do this for undetermined time. When raising, the participant should move the hips, from one side to the other, to adjust the cleansing. MAGIC SONDA 4: is composed by natural and artificial objects collected from Slanic and brought from other places around the world, specially from Brazil. The composition creates a landscape that, depending on the point of view, alters the landscape of the city itself. ACTIVATION: the participant should look towards the composition of the objects and imagine a possible and comfortable transformation in the surroundings. Living in Brazil, a country that has seized the desire for „progress” and now seems to be feeling the after math of this choice, has made me think about the wishes people have for the near future of Romania, or more especifically Slanic Moldova. The urge to attract turism to natural paradises or to adopt the Euro as the național currency have made me consider posibile negative consequences observed around the globe. Such as: the devastation of nature and the colossal diferences beetween the minimum wage in countries of the European Union. BE CAREFUL WITH WHAT YOU WISH FOR! Among the 17 Sustainable Development Goals all nations at the U. N. have agreed to, there is one goal specifically related to urban developments. Goal 11 aims to build towns that are “inclusive, safe, resilient and sustainable”. How can we address to a challenge that complex, considering that both urban and rural areas develop almost like living organisms ? One can develop strategies, build things, do a lot of urban planning, attract cultural initiatives but will never be able to determine who is coming, what people will be doing there, what kind of activities will take place there, and so on. In other words , it’s impossible to control the process and determine the desired outcomes. That’s basically because cities, villages, territories, public spaces in general are a reflex - and develop as a consequence - of the people around. How do they use the spaces, for how long do they want to stay around , how much are they willing to care of that, how much effort would they put on developing economical activities in that place? That’s when you realise that it's not enough to revitalise a territory but you must go through a process of re-signification. We’ve organised ourselves to promote this so called new meaning (and of course an efficient development ) through the arts, creative economies, collaborative work, entrepreneurship and innovation. 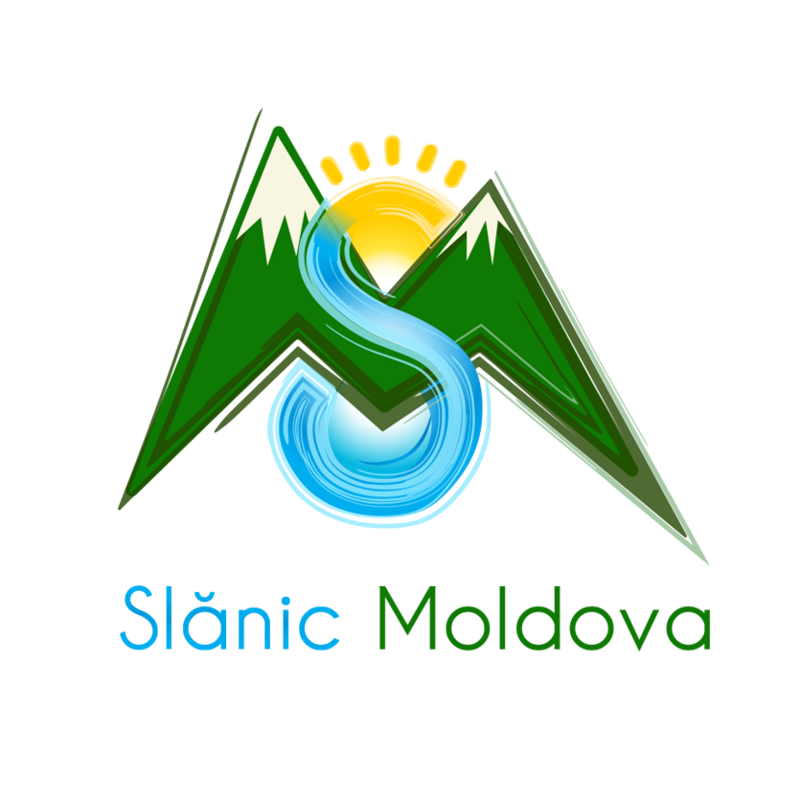 Given the resources of the area where In Context is being located, our aim is to help develop Slanic Moldova into a Creative/Art hub that would encourage diversity, sustainability, economic development and social inclusion. Our dream is to help the local organisers create a place where the arts, the creativity and the good experiences are available for all. That could guarantee economical prosperity and sustainable development. We will be acting locally and thinking globally considering that our experience is a sort of laboratory, where we can prototype and test new ideas that could be shared with anyone to whom it may concern. “The selection of Brazilian artists to attend In Context took all of these aspects into consideration as we were able to recognise their relevance for Slanic Moldova and the local community. Simona Nastac is a curator, critic and poet living in London. She studied Art History and Theory in Bucharest and holds an MA in Creative Curating from Goldsmiths University, London. Committed to socio-critical art and context responsive practices, she is forever looking for unexpected outcomes able to shake the world. In a gentle way. She has curated exhibitions and live poetry events in London, Seoul, New York, Saint Petersburg, Prague, Shanghai, Cluj and Bucharest, which featured renowned artists Anish Kapoor, Hito Steyerl, Guy Ben-Ner, Tony Cragg, Jordan Wolfson, Nigel Rolfe, Christian Bök, Jaap Blonk, and Dan Perjovschi, amongst others. 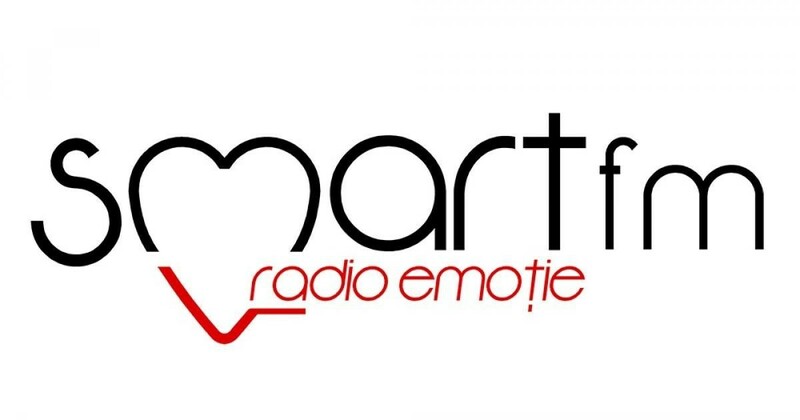 She has also written numerous reviews for magazines and newspapers such as Flash Art, Eikon, Springerin, Hart, Praesens, IDEA Cluj, Cultural Observer and ARTA Bucharest. From July 2006 to December 2013 she was Head of Arts at the Romanian Cultural Institute in London. Areas of interest: everything at the intersection of art, sound, poetry, philosophy and social justice. Even if such an intersection might not exist. In Context was a powerful and strong surprise that happened in my life and career, and that I believe I will treasure in many ways: for the friendships I developed, for the people I met, for the work that we undertook and for the deep and touching changes we could see were happening because of the relationship that the town and region established with us. As any other art residency, one is expected to come in contact with new references and therefore develop new works, ideas and procedures. However, in my case, In Context took this to a new level. Since the beginning, we were being challenged to think big and to create works on a monumental scale, both conceptually and materially. It is quite overwhelming to look back and see the achievements made by all the artists in just 5 weeks. There was a lot of effort from the producer, the town hall and the artists to make these ambitious projects possible and, looking back, it is hard to believe that so much was done. It became very clear to me that it all happened because of empathy and dreaming together to make good and lasting things by the community and for the community. These amazing outcomes were only possible by the ability to dream big of Alina Teodorescu, this visionary woman that really understood the power that art could have over her beloved community, alongside the Slanic Moldova Primaria. In context gave six artists the rare opportunity to be taken out from the isolation of the art world and actually put them in contact with a loving small community that was eager for transformation and that embraced each one of us, the project and all our ideas with love and enthusiasm. Slanic is a magical place. Not just because of the beautiful forests, the mountains, the fresh waters and the architecture, but by its people and the dreams that they never stopped believing in. Slanic Moldova and the magic that In Context made happen in that isolated place in the mountains will always be dear memories that I will forever carry with me. There’s something magic about going across the world to develop art ! InContext was probably one of the richest experiences I’ve lived until now. Being part of such a special group of artists, in the middle of the mountains, without knowing the language, the habits or even what we were going to eat. All the “mystery” and uncertainty faded when we got to SLANIC MOLDOVA with all it’s nature and beauty. When we came across the people and all their stories and life experiences. Art is a powerful tool for change and we definitely used it. In context changed a lot in our minds and lives making us believe that it’s really possible and fruitful to overcome the toughest cultural barriers and develop great things. After a month of work and coexisting , the city was not the same as our lives were not the same. We have started something powerful and planted a seed for a new era of art, creativity and development in Slanic Moldova. Looking back two months after leaving Slanic Moldova, I feel "InContext" was one of the most inspiring experiences I've ever had. There was an amazing interaction between Brazilian artists and the Slanic community. Making art felt as natural as breathing, as we were immersed in an atmosphere where there were no boundaries between art and life. Working with local resources gave me the opportunity to discover new materials. 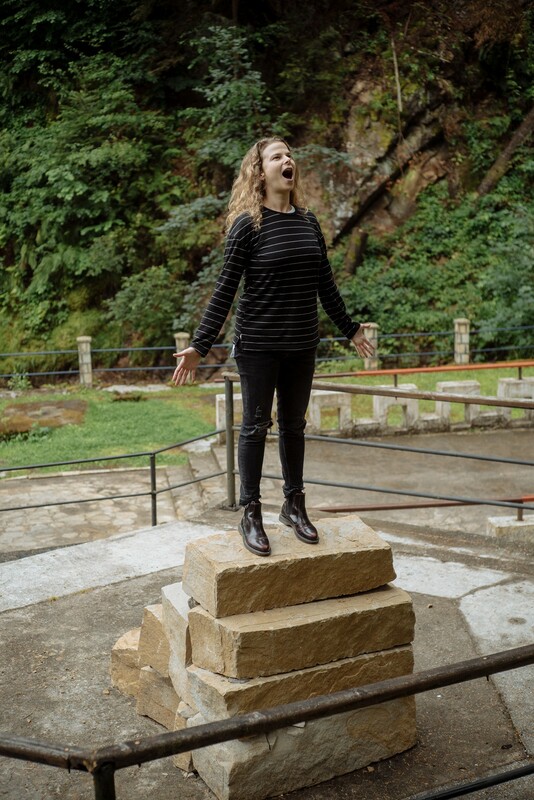 The impossible was made possible in the less three weeks that elapsed from when we arrived until the opening of the art exhibit "Sursa"
Among these mountains, covered with pine trees, was the mighty river. It was from the river that I started my artistic production at In Context. Nature was present in all artistic production. In the midst of so much work, our studio was a really important place. A really nice space where once a casino used to be. On many nights we had parties. We danced a lot and were very happy. It was actually a river that passed through my life. "I was genuinely pleased with the whole experience In Context|Slanic Moldova. To be invited to go somewhere I have only heard about on the other side of the world to do what I like was a good start. To get there and see that even in very distant places many of our problems are ver similar and the fact that art can play a role in the thinking and putting action into solving these problems is just amazing. The urge for exchange, interaction from people in Slanic was overwhelming, so open to the project and to tell us about there life and their culture. I hope the project goes on, it was so important for us and to the people who received us as well. 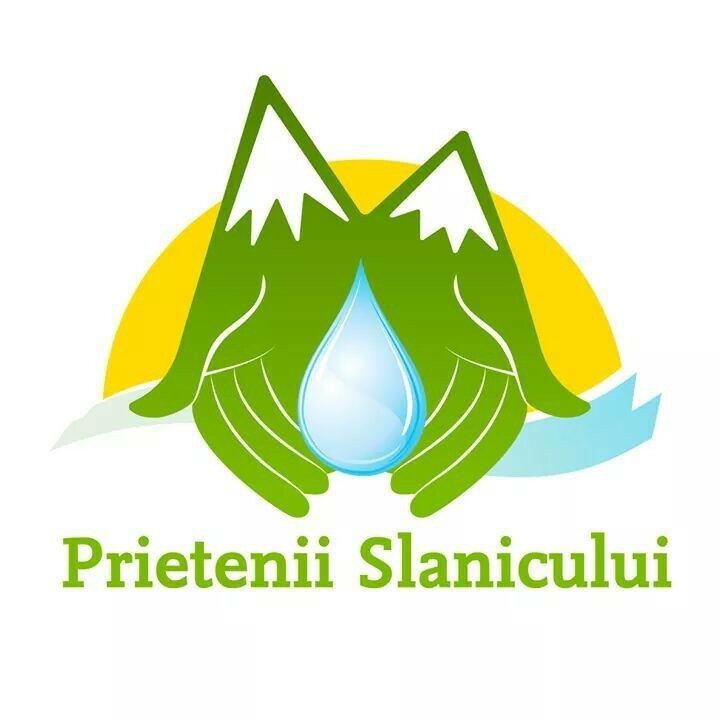 Thanks Slanic Moldova, the district of Bacau, Romania and to the people who made the project happen. With love, Renato"
When I first arrived at Slanic Moldova I was amazed by how quiet the city is. I was overwhelmed by the stillness and how nothing seemed to happen. We were pretty much the only young people on the streets and I could see from the native eyes how exotic and weird we were. Then we started to build a routine and interact with the lifestyle: walking to the main square, going to the Sanatorium, eating at the pizza place, doing groceries and so on. And I could feel that our presence was at the same time disturbing and sparkling. I remember that every time I passed by some one I was always smiling and nobody smiled back, then I changed to waving and no return, then I was just trying to say "buna/ buna" (our own version of good morning, good evening and good night) and no feedback either. But I slowly managed to interact and after 5 weeks I've learned how they are tough, but at the same time sweet and fragile. I deeply believe that this generation clash made a difference in both sides, at least it made on me.